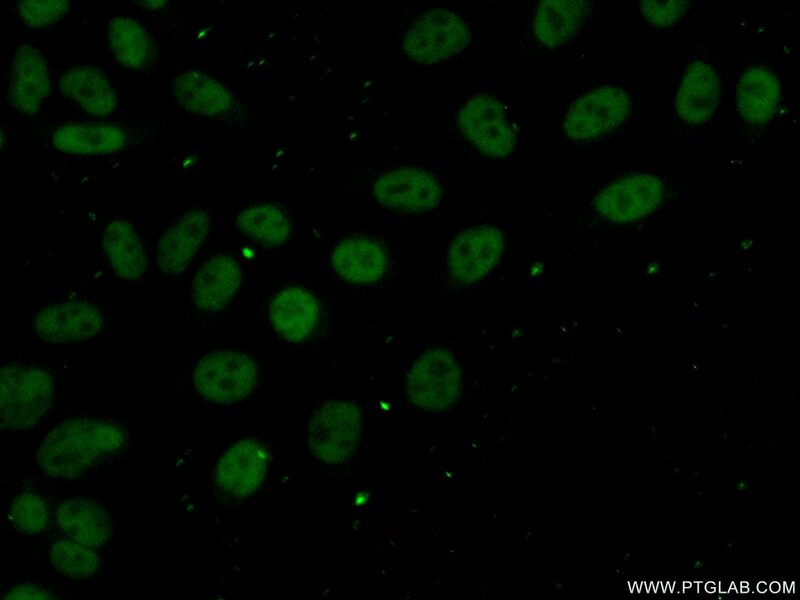 IP Result of anti-DNTTIP1 (IP:11637-1-AP, 4ug; Detection:11637-1-AP 1:300) with HeLa cells lysate 1200ug. 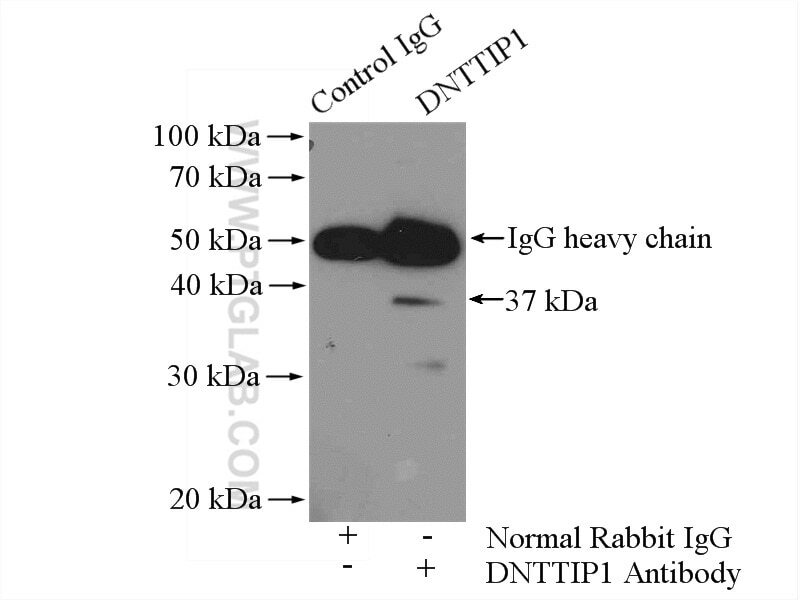 DNTTIP1, also named as Deoxynucleotidyltransferase terminal-interacting protein 1, is a 329 amino acid protein ,which contains a Nuclear localization signal and localizes in the nuclear. 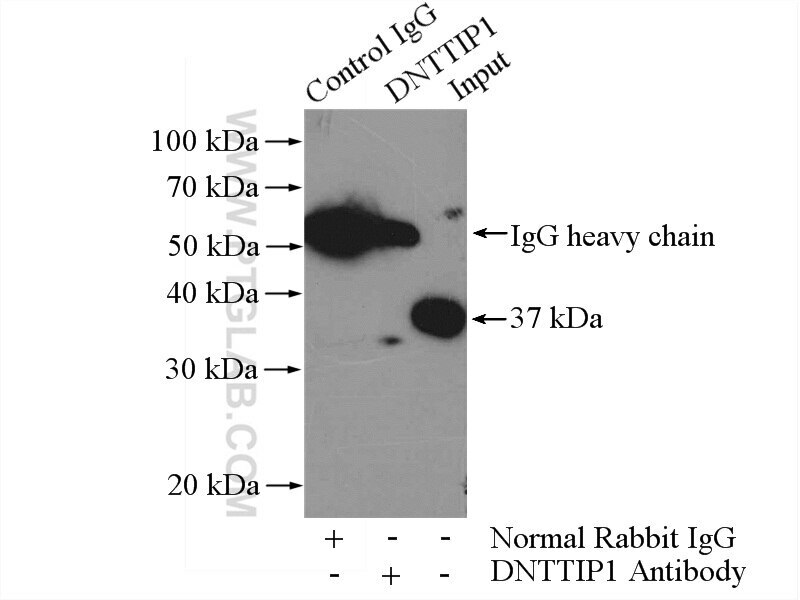 DNTTIP1 also acts as a transcriptional regulator, which binding to the consensus sequence 5'-GNTGCATG-3' following an AT-tract. Associates with RAB20 promoter and positively regulates its transcription.